That first ecstatic moment that the couple realizes that "We're married!" Mom is looking on, and the emotion is apparent to all who are watching. Holli and Nico rank as one of the cutest, most open couples we photographed all year, so perfectly suited for each other and so cute together! 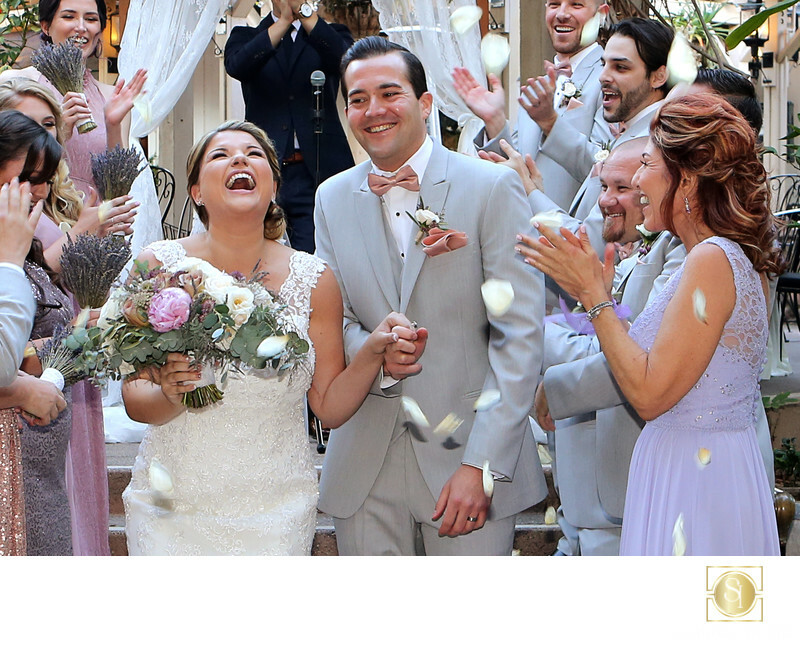 They got married at the historical Cosmopolitan Hotel in Old Town San Diego, a building with a long history and an interesting one, dating back to the mid-1800s. The wedding ceremony site itself is in the courtyard of the building, with a lot of foliage and wood which makes for a fun and different feel. The photo was done in natural light, of course, with the Canon 5D mkIII and 70-200 f2.8L IS. Location: Cosmopolitan Hotel Old Town San Diego. Keywords: Old Town san diego wedding (12), rustic wedding (57), Wedding (30).